Jivamukti Yoga® is a path to enlightenment through compassion for all beings. 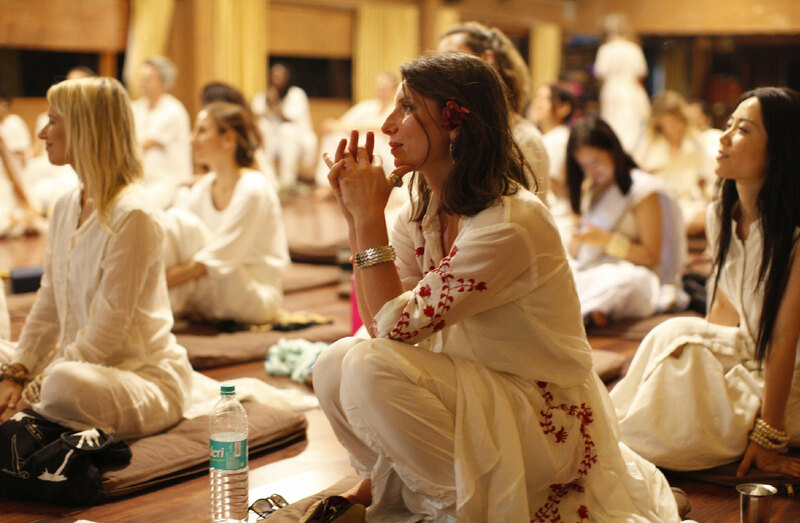 Jivamukti Yoga teacher training is the most complete and rigorous training program in Yoga. As pioneers of modern yoga, thousands have become certified in the Jivamukti method, by participating in the month long program which incorporates an in-depth study of classical Yoga postures (asanas), the chanting and study of ancient texts, music and inspiring activism principles. The Jivamukti training will provide you with a blueprint for incorporating the physical, psychological, spiritual and mystical aspects of yoga into modern life, without losing sight of the ultimate goal of the practice: liberation. The principles of Jivamukti Yoga empower individuals of any background, culture, language, age-group or profession to fully awaken and develop compassion towards all living beings and exist in harmony with all life while respecting the precious resources on earth.